Have your children help you collect all of the supplies. 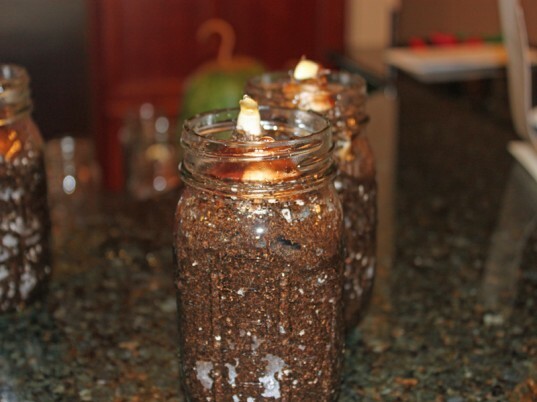 Then give them a bowl full of soil and ask them to fill each mason jar. 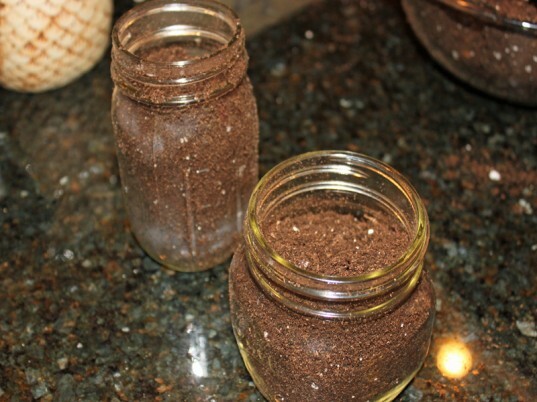 They should fill each jar 3/4 of the way full of organic soil. 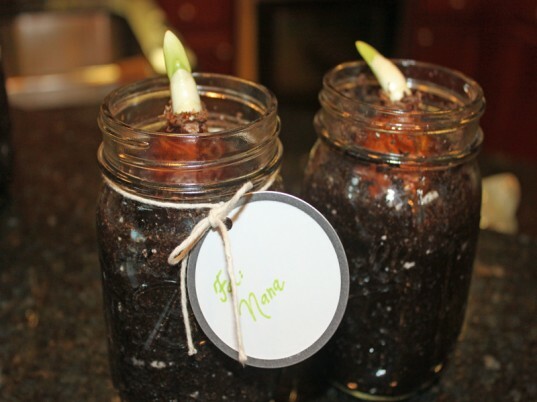 Have kids add a bulb, pointed side up, to the top of the soil, filling in around the edges with more soil. 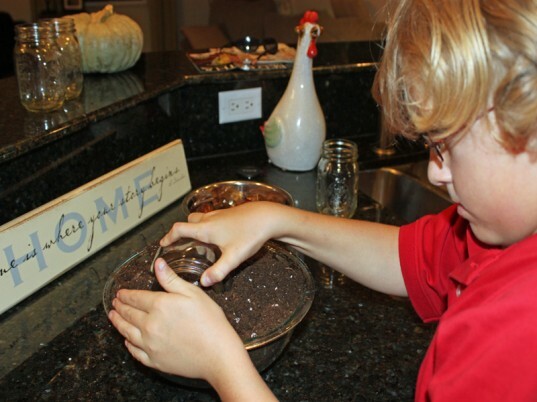 Have your children add a small amount of water to each jar using a measuring cup. 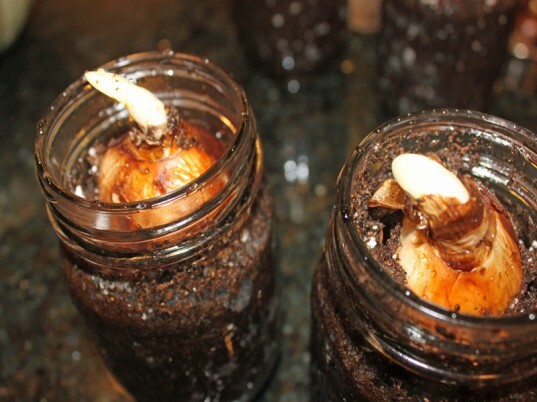 Encourage your children to water their paperwhites and to keep them in a warm area of your home. If you start your paperwhites now, you should have blooms to enjoy for the holidays and throughout the winter. These also make great gifts to give to family, friends and teachers – just wrap a loop of twine around the bottle neck and attach a name tag. 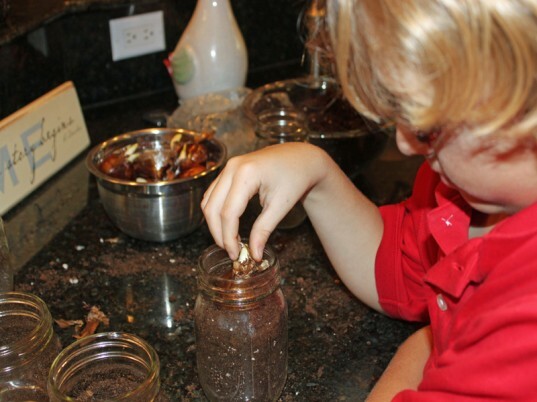 Give your children a bowl full of soil ask them to fill each mason jar. 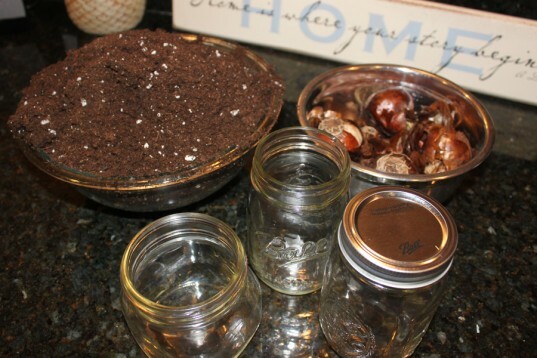 Have kids add a bulb to the top of the soil, filling in around the edges with more soil. 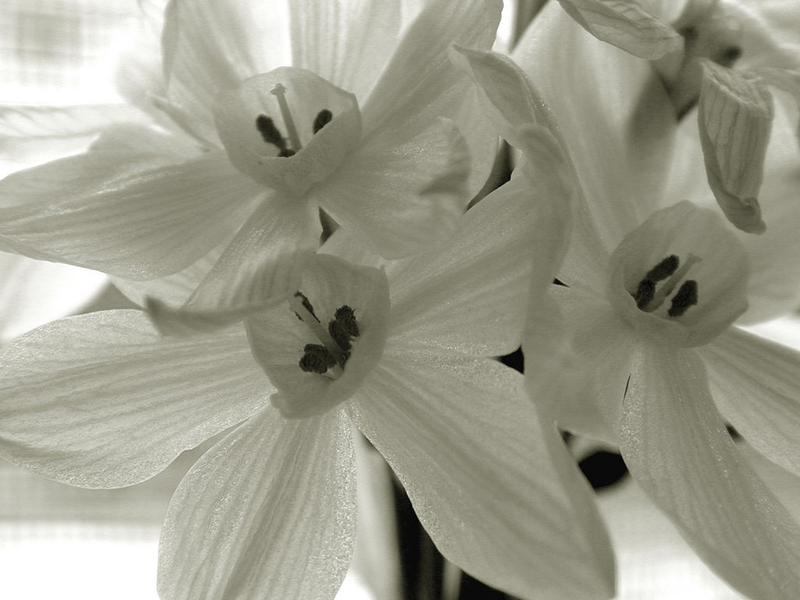 If you start your paperwhites now, you should have blooms to enjoy for the holidays and throughout the winter. These also make great gifts to give to family, friends and teachers - just wrap a loop of twine around the jar's neck and attach a tag.